Zambeza Seeds used genetics of Skunk and Ruderalis to create a bonsai-like and sturdy strain that can be grown in many different ways and environments. Little Dwarf Autoflowering is a viable option for growers who want to hide their plants from prying eyes or simply prefer smaller plants. It’s not only the compact size and reliable growing traits that make our Little Dwarf desirable. The potency and taste comes mainly from Skunk, one of the most influential strains ever! After roots have been established, the genetic miracle begins, and we can observe a small cannabis plant that grows into the compact structure of a magnificent Japanese bonsai tree. Little Dwarf Autoflowering only needs a short life cycle of 55-65 days, with indoor yields of 200-250g/m². Plants stay nice and compact with indoor heights of 40-70cm. Outdoor- and guerrilla growers who prefer short plants because of lower visibility, can plan their stealth operation with Dwarfs being 50-100cm tall, so definitely easy to hide between other vegetation. Growers who found a nice outdoor spot, including smaller spaces like balconies or terraces, can count on yields of up to 40-80g per plant. The more light hours and sun in total, the higher the yields. 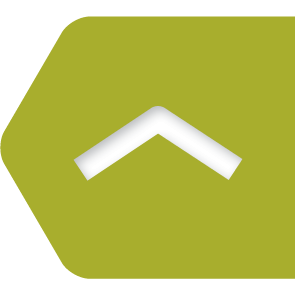 Although genetics are sativa-dominant, there is still some Indica in this crossing, together with the necessary amount of Ruderalis. Little Dwarf Autoflowering is easy-to-grow and suitable for novice growers. Flavors and high are things that Skunk contributed, to make our Dwarf not only small but also mighty. THC levels might be moderate with 14%, especially in direct comparison to other high-potency strains, but the high is not weak at all. The effect of our Dwarf enhances creativity, leads to a sensation that makes you want to giggle for no reason, and is doing a great job in contributing to happy feelings. It’s a very social high after all, and one can benefit from daytime- and nighttime use equally. Strong Skunk flavours can also be expected, basically a blend of sweet and spicy aromas. It might be not the strongest of all cannabis strains but our “skunky” Dwarf will get you very, very high! Growers who are willing to compromise on a few percentages of THC, and want to get a bonsai-like Dwarf variety in return, can be assured that Little Dwarf Autoflowering, is under no circumstances, a bad decision. Worrying about potency is unnecessary because of highly potent Skunk genetics. 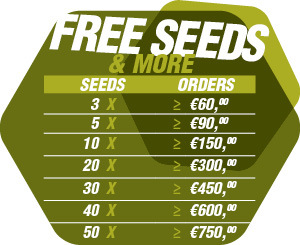 Growing traits are also specifically tailored to needs of our European hobby growers. Choosing this variety as a strain to grow on balconies, terraces, smaller gardens, or simply in a well-hidden outdoor grow, is not only a very good option for novice growers. Expert cultivators will also be pleased to have one of our bonsai trees in their homes. 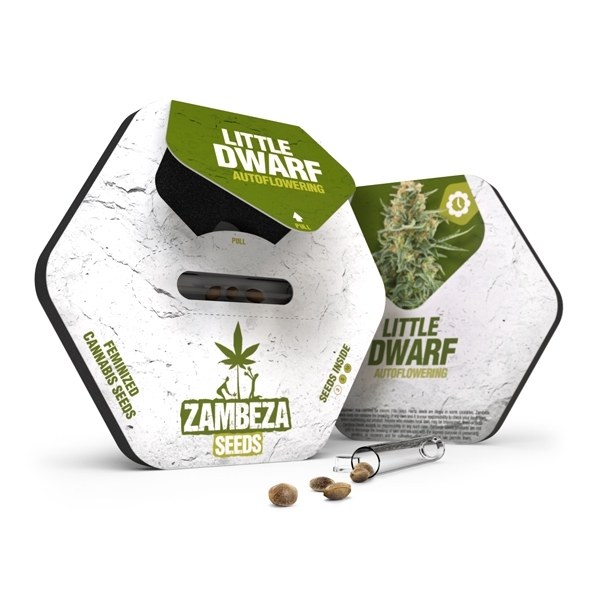 Zambeza Seeds is proud of Little Dwarf Autoflowering, the smallest family member of our strains. We are now looking for adoptive parents because we're too busy with breeding. Please order if you qualify! Comment : Sehr einfach zu ziehen auch für Anfänger geeignet. War nach ca 50 Tagen fertig. Nicht ganz so viel Ertrag aber ganz okay für die kleine Pflanze. Comment : From 3 seeds only one was good. Two not germed.. But bud are smelly and tasty!